The number of active Canadians playing in the NBA is at an all time high at 12. Meanwhile 6 Canadians have declared to get in the mix, entering the 2017 NBA Draft or surveying the field to see if there’s any traction before signing with an agent. Those who have not signed with an agent by May 24th can return to the NCAA considering there are years of eligibility left. 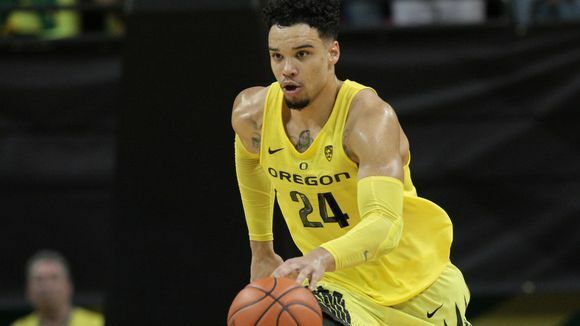 Oregon and Mississauga, Ontario’s own, Dillon Brooks is highest on draft charts among Canadians, expected to go somewhere between late first round and early second. Brooks still has time to increase draft stack through the combine and team workouts. As of last night Illinois State’s MiKyle McIntosh, a Pickering, Ontario native, was the latest to declare with intention to return to the collegiate ranks as a graduate transfer if it doesn’t pan out this year on the pro level. McIntosh has received a ton of interest already from high major college programs that would take him in a heartbeat. Only Brooks and his Oregon teammate Chris Boucher have signed with an agent at this point. While Boucher is nowhere to be found on most recent draft projections, there is a chance he can still get into a late first round slot and be selected among the top 30 picks. He has underwent a successful surgery on his left ACL and is in recovery mode. Prior to the injury and missing the historic Final Four run by the Ducks, Boucher was in the notes of many NBA team’s book. Time will tell. As for the unsigned prospects, this would be the year to consider entering their name. 2017 will overall be a weaker draft than 2018 as next year is a more experienced and top heavy field. There may be one or two more announcing their intentions in the near future. In this year’s NBA Playoffs there are 7 active Canadians; Tristan Thompson (Cleveland Cavaliers), Kelly Olynyk (Boston Celtics), Cory Joseph (Toronto Raptors), Dwight Powell (Dallas Mavericks), Trey Lyles (Utah Jazz) and the man with the longest tenure Joel Anthony (San Antonio). Canada is second to only the United States as a current top producer of NBA talent. Jamal Murray is coming off of a strong rookie campaign and expected to have a major impact next year and be a starter. Although, Murray is a rare breed he has lit the fuse along with Andrew Wiggins that will ensure and ongoing surplus of Canadians moving toward the NCAA and later the NBA. Oshawa Power’s Kevin Francis Looking strong in Tune Up Game!